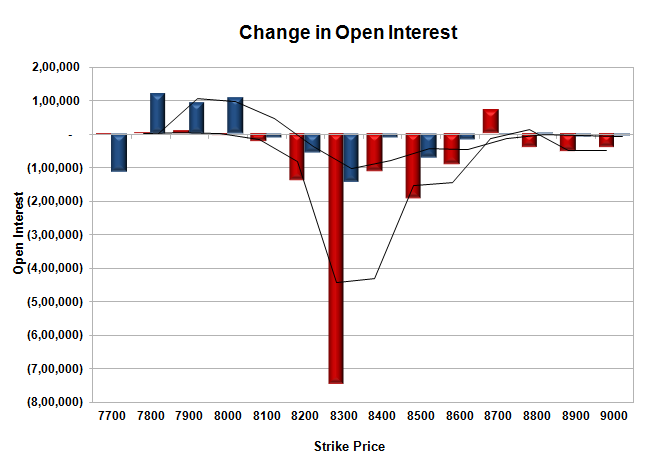 The Index opened flat to positive but saw selling pressure to move to the lows of the day at 8320. 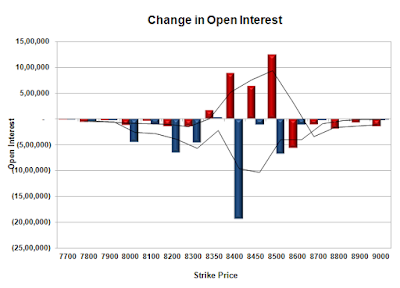 A smart short covering rally towards the end saw the index cover most of the losses but still closed in red at 8339.35, loss of 30.90 points. 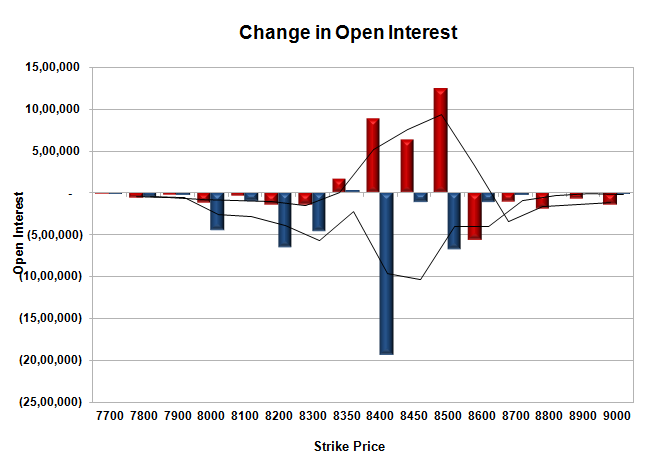 The broader market was also weak, with 580 advances to 892 declines. Range as per Option Table till expiry is at 8000-8500. Call option 8300-8400 added huge 19.88 lacs OI with profit booking seen at 8500 and above strike prices. 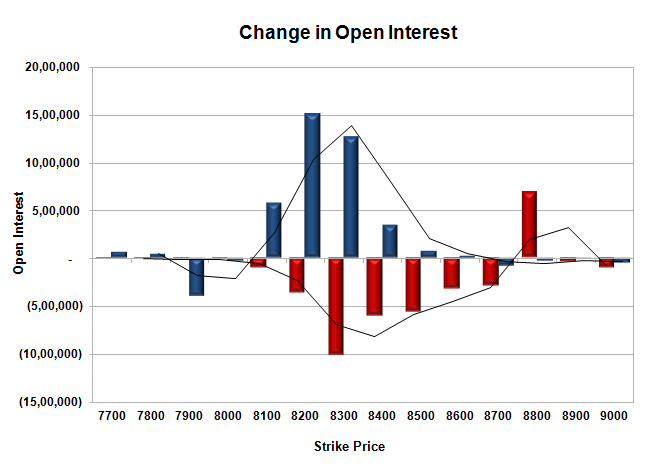 Put option 8200 added 4.79 lacs OI with short covering seen at 8400 and above strike prices. 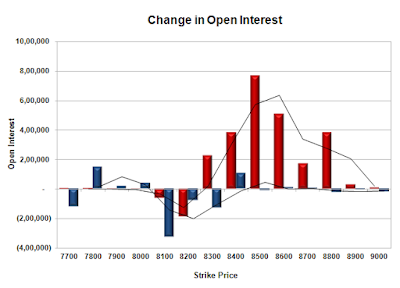 Nifty Open Interest is at 1,07,50,750 down by 11,64,400, whereas June series added 20.99 lacs with decrease in price, most probably 100% rollover with huge short build-up. 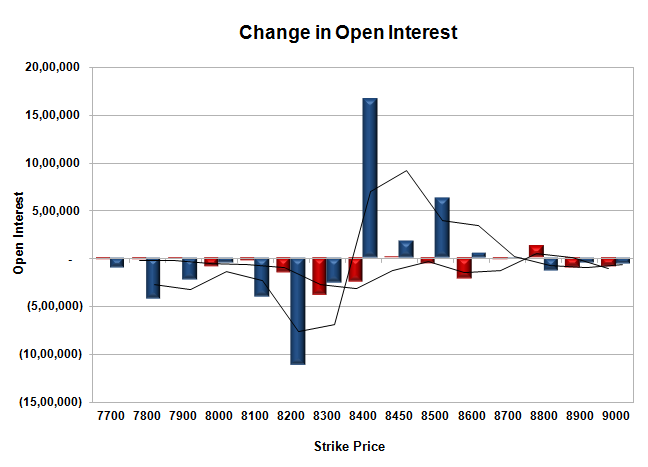 Bank Nifty Open Interest is at 14,83,050 down by 1,40,475, whereas June series added 2.42 lacs with increase in price, most probably 100% rollover with long build-up. 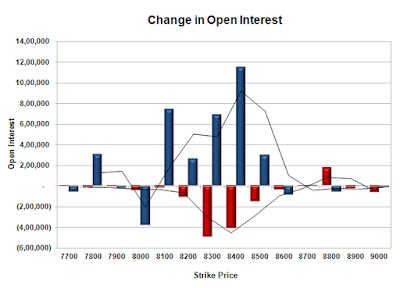 FII’s bought 1.87 lacs Futures, which includes 39491 contracts long build-up and 32027 contracts short build-up, with increase in net OI by 71518 contracts (includes 156529 longs to 149065 shorts for the day) and the Average Price comes to 8874.93. 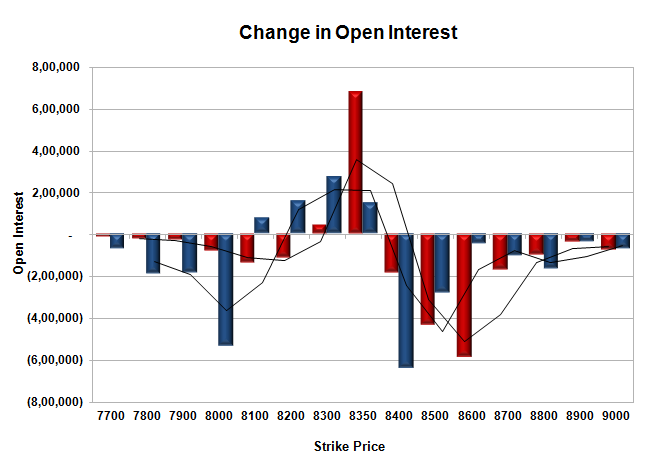 FII’s Index future open contract as on date is 370136 Longs to 348383 Shorts, Net Long 21753 contracts. Initial and best support still at 8300, with OI of 49.48 lacs and below that at 8200 with OI of 47.36 lacs. Initial resistance at 8400, with OI of 48.35 lacs and above that at 8500 with highest OI of 58.43 lacs. Day Range as per Option Table is 8274 - 8415 and as per VIX is 8265 - 8414 with 8346 as the Pivot. 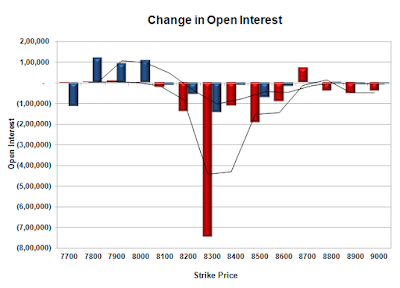 The Index opened flat to positive but saw an initial dip towards the lows of the day at 8212 and thereafter stayed positive throughout to close at 8262.35, gain of 38.15 points. 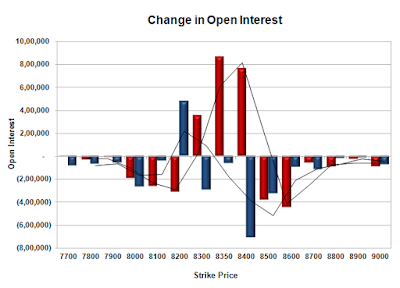 The broader market was positive, with 821 advances to 660 declines. 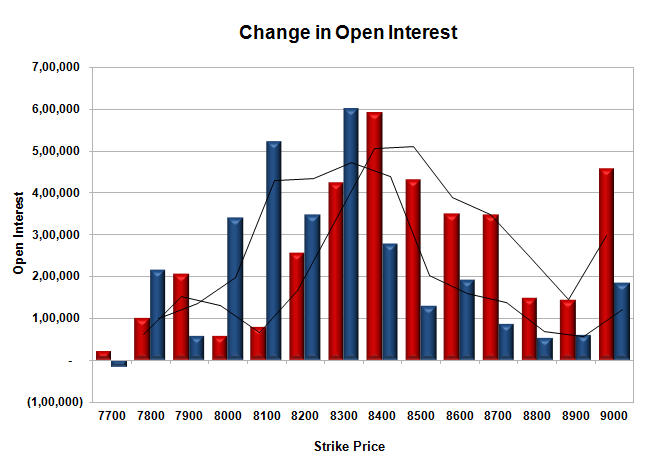 Developing Range as per Option Table stays at 8000-8500. 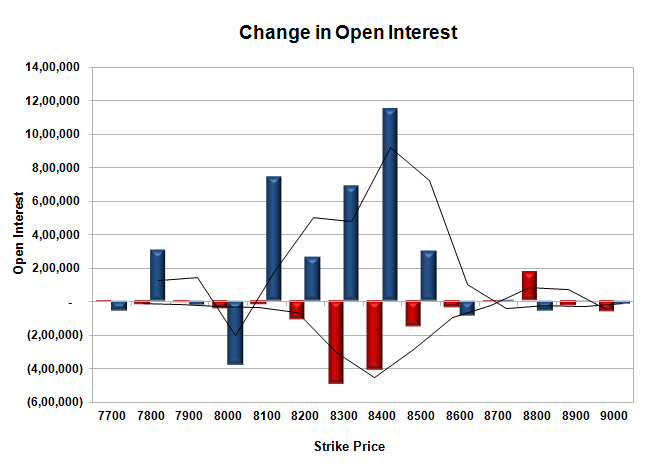 Call option 8400-9000 added 3.19 lacs OI with short covering seen at 8100 and below strike prices. 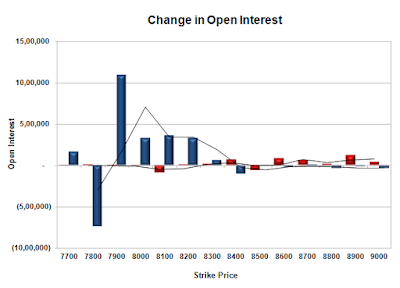 Put option 8300-7900 added huge 21.69 lacs OI with profit booking seen at 7800 strike price. 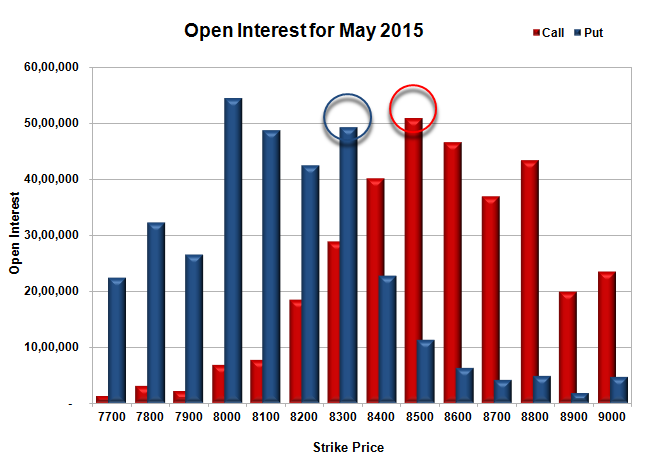 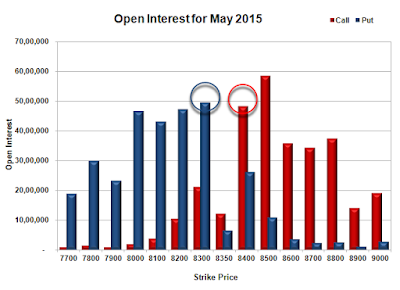 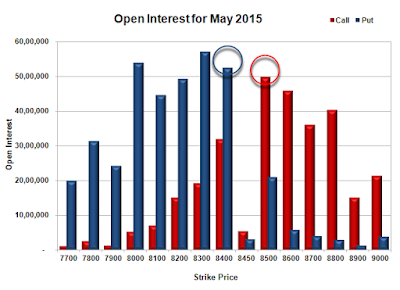 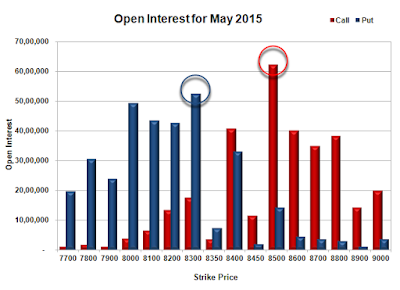 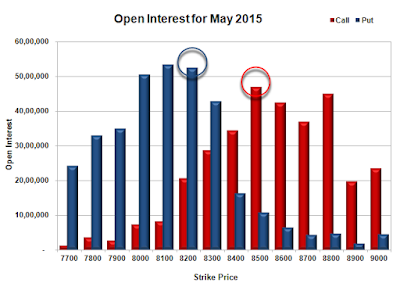 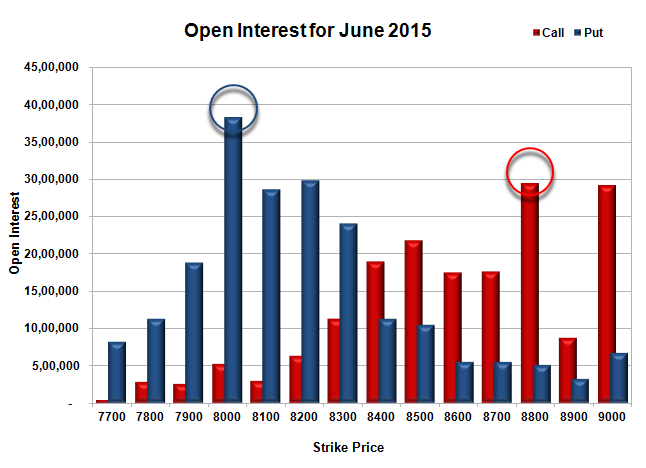 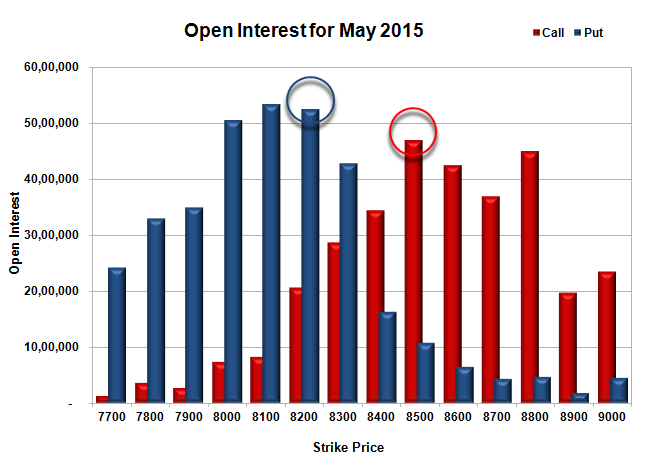 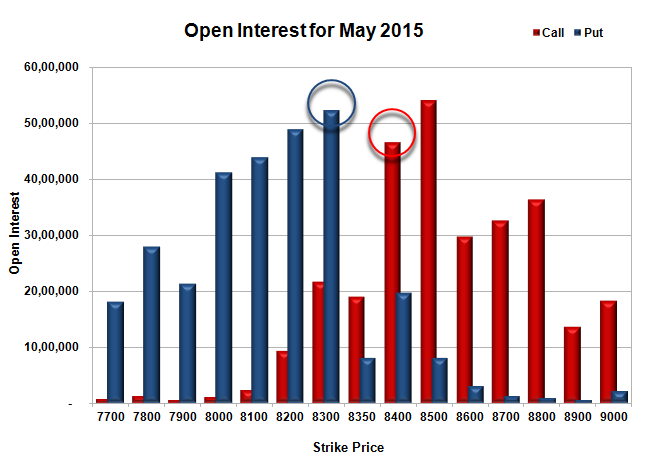 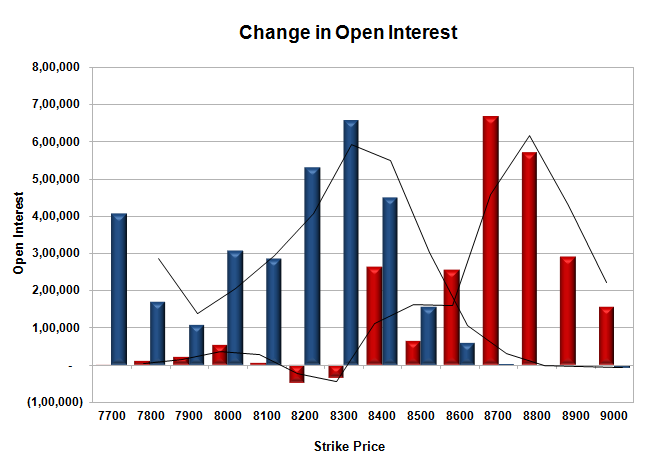 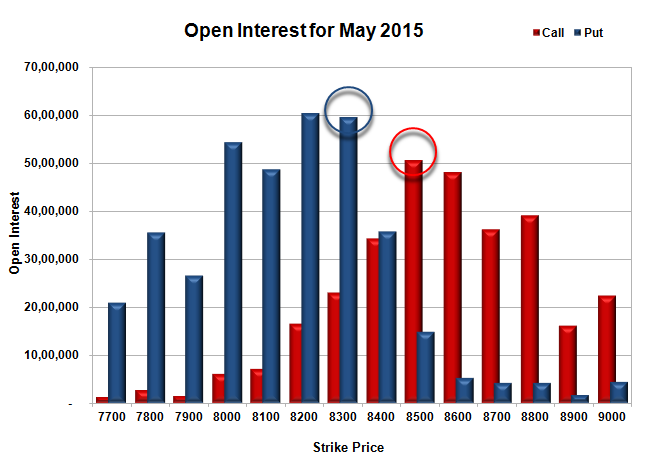 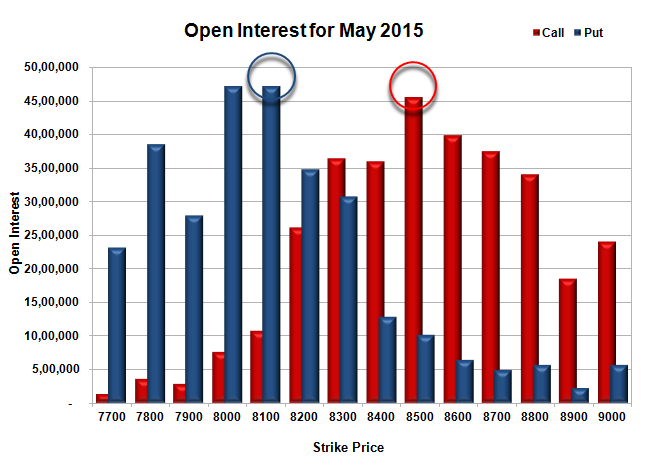 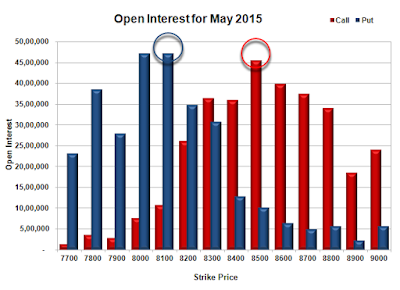 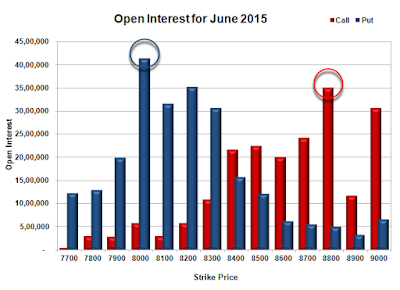 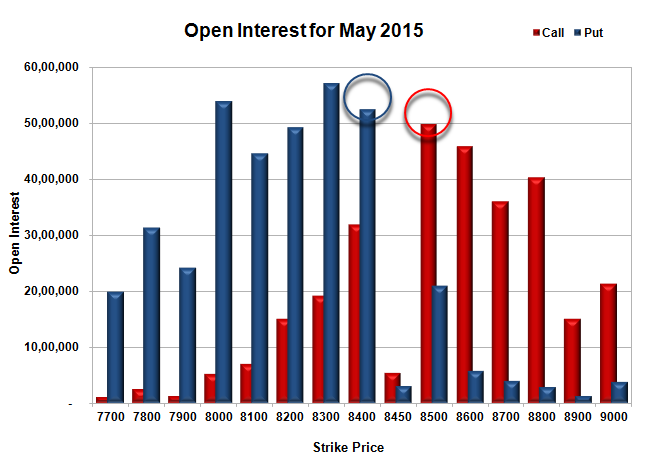 Nifty Open Interest is at 1,40,10,025 down by 71,525, with increase in price, most probably short covering. 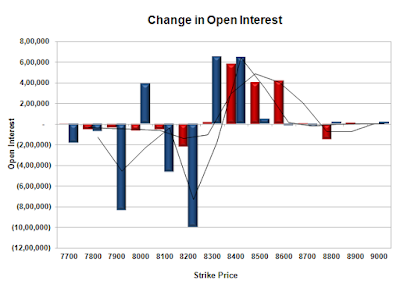 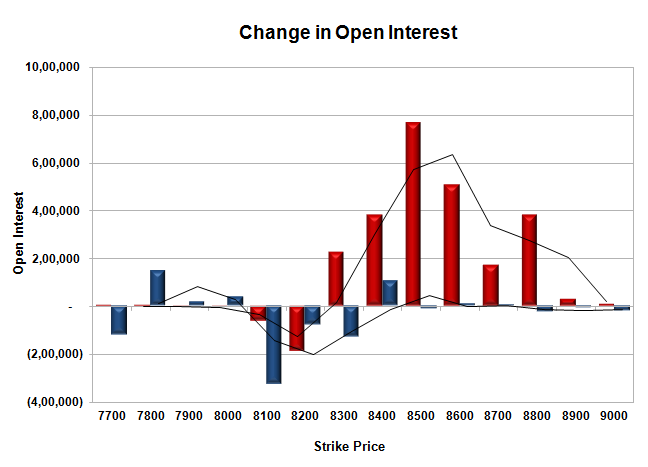 Bank Nifty Open Interest is at 16,27,225 down by 84,550, with increase in price, most probably short covering. 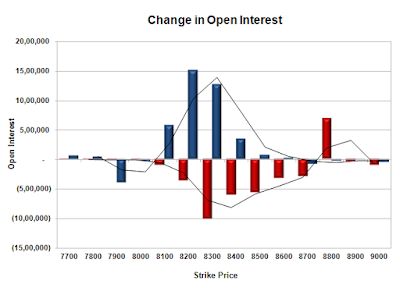 FII’s sold 1.16 lacs Futures, which includes 6258 contracts long build-up and 10897 contracts short build-up, with increase in net OI by 17155 contracts (includes 55859 longs to 60498 shorts for the day) and the Average Price comes to 8790.10. FII’s Index future open contract as on date is 221690 Longs to 284344 Shorts, Net Short 62654 contracts. 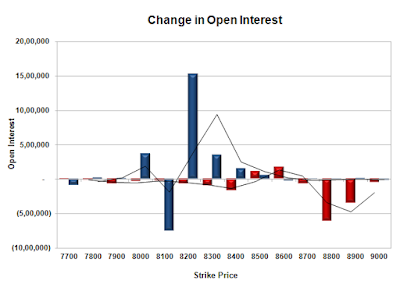 Initial support stays at 8200, with OI of 37.35 lacs and below that at 8100 with OI of 47.55 lacs. 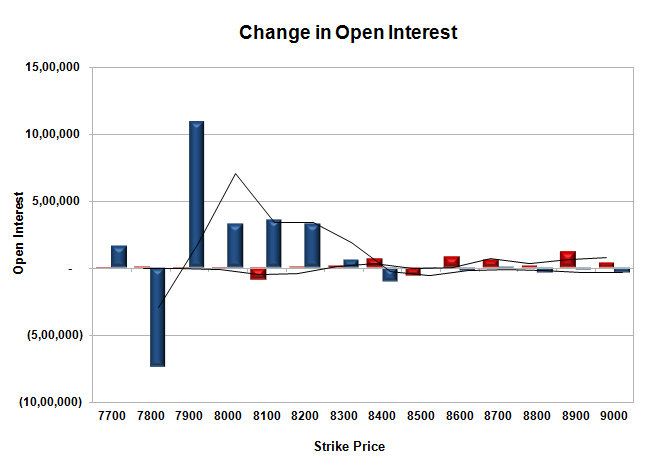 Initial resistance at 8300, with OI of 38.88 lacs and above that at 8400 with OI of 40.43 lacs. 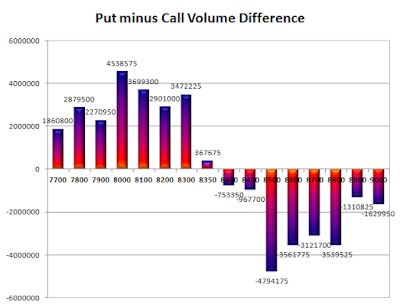 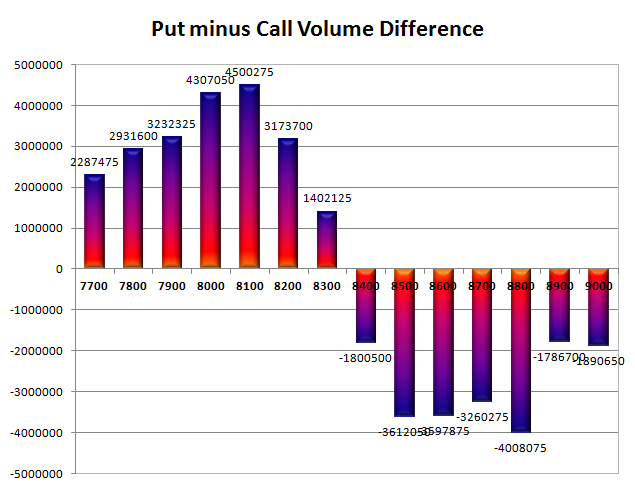 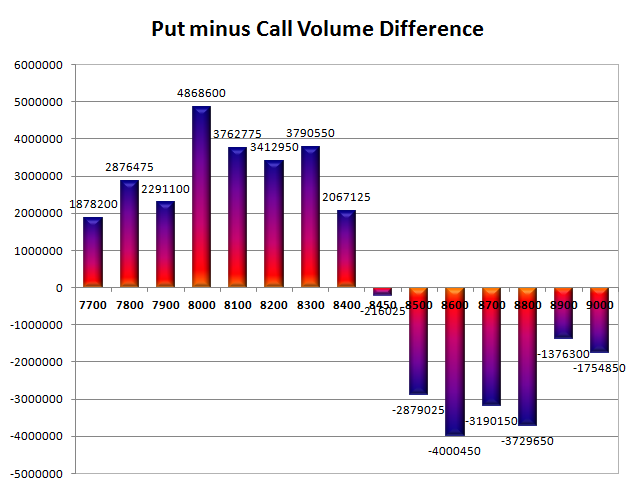 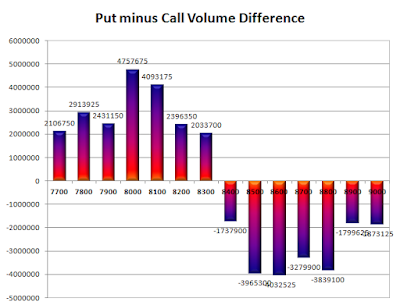 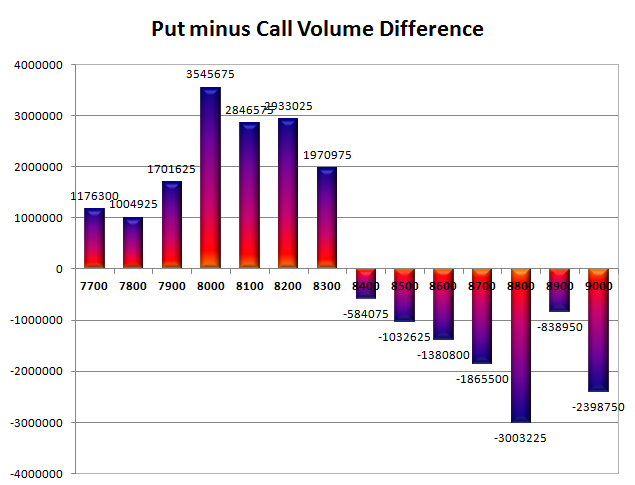 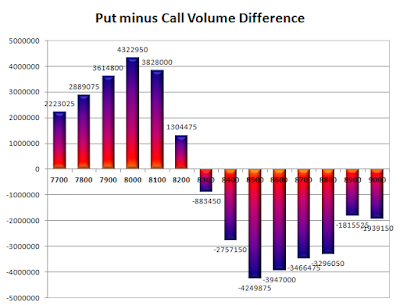 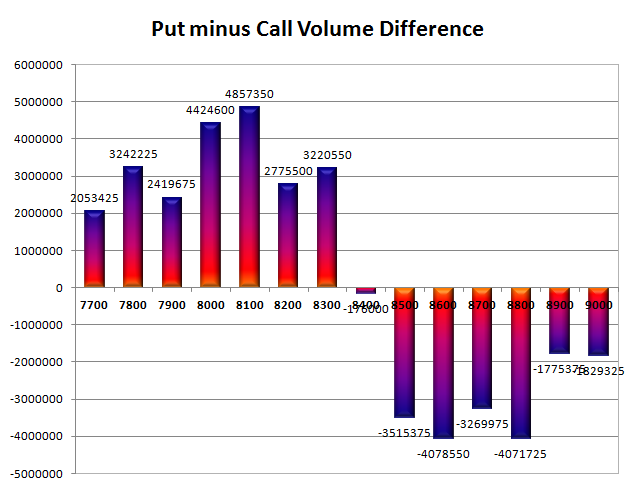 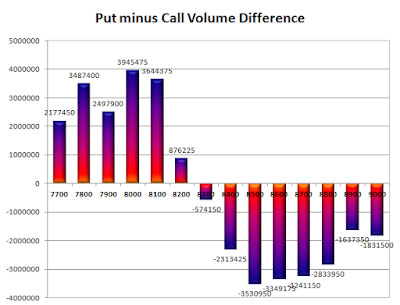 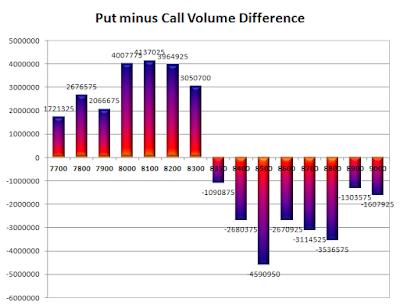 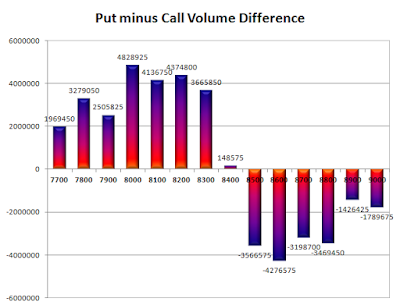 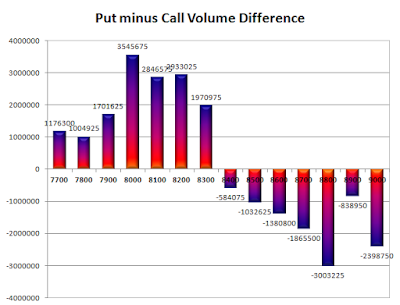 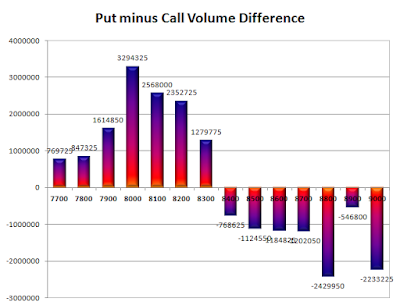 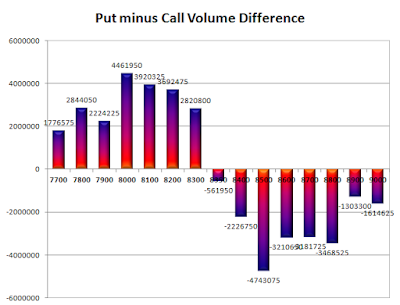 Day Range as per Option Table is 8157 - 8351 and as per VIX is 8177 - 8348 with 8251 as the Pivot.